Get to enjoy various fan activities, meet your co-fans, and see your favorite artists’ collectibles and memorabilia on our activity booths. 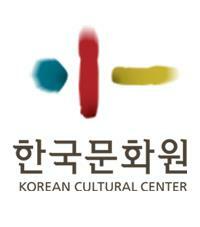 See performances of Kpop Songs and Dances as well as the Traditional Korean Cultural Performances. Learn how to dress, look, and travel Kpop style and win exciting prizes by joining the raffle draws and the Korean Drama Quiz Show! It is going to be a busy and memorable day for all the attendees! 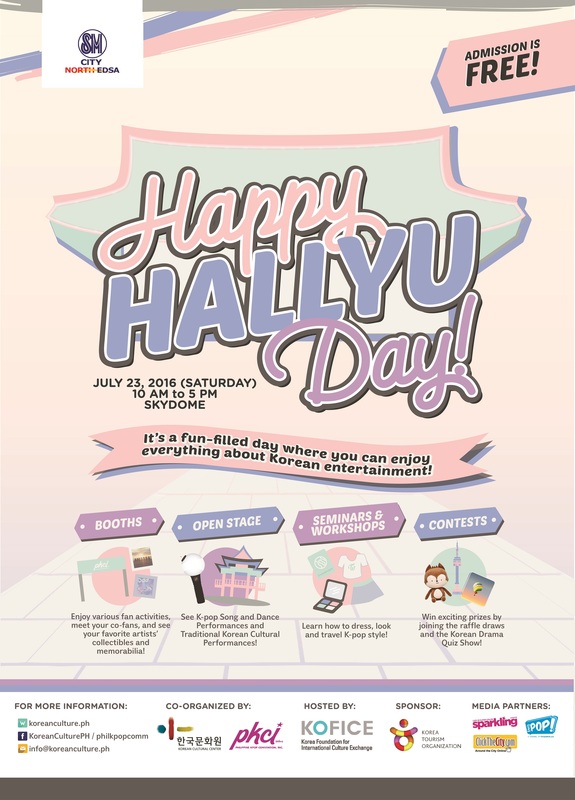 Filipino fans of Korean entertainment will have a full-day feast on all things about Korean wave or “Hallyu” as the Philippine K-pop Convention, Inc. (PKCI), in partnership with the Korean Cultural Center (KCC), and supported by the Korea Foundation for International Cultural Exchange (KOFICE), brings you “Happy Hallyu Day” on July 23, 2016 at Skydome, SM City North EDSA. Various Korean-related activities from booths of K-pop fan clubs and brands will be available for the guests to enjoy. Famous Korean cosmetic brands like Missha will have make-up demonstrations where guests can know how to achieve the same look as their favorite K-pop artists. Fans can also take their photos with life-size standees of various Korean artists. Cover dance groups and singers and KCC’s in-house performance teams will have live performances. For K-pop fans who are travelling to Korea for the first time, a seminar on Traveling to Korea will be conducted by Sparkling Magazine’s Editor-in-Chief Gigi Yia. A short talk and workshop on Korean style and K-pop-inspired fashion will be held by fashion stylist and Editor RJ Roque. For K-drama fans, a Korean Drama quiz contest will also be held. “Happy Hallyu Day” is a special project funded by the Korea Foundation for International Cultural Exchange (KOFICE) and is part of KCC’s 5th anniversary celebration. KCC in the Philippines was established on July 19, 2011 to further promote the Korean culture and facilitate a wider and more expansive cultural exchange. 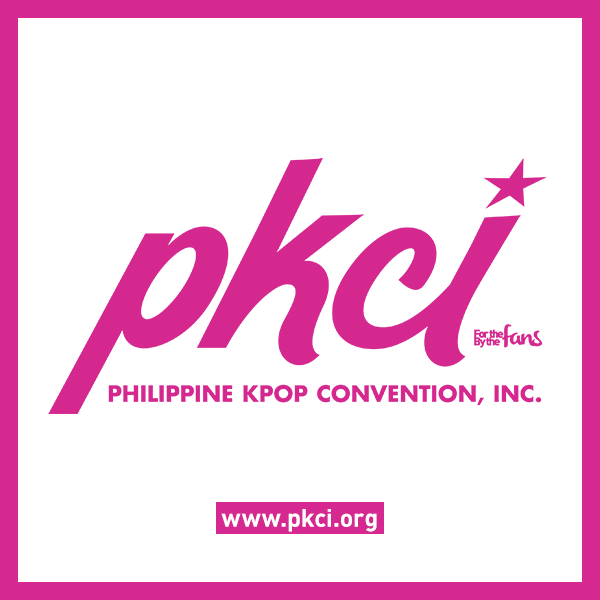 The event is followed by KCC’s annual K-Pop talent competition, “Pinoy K-Pop Star.” It will be free admission to all.